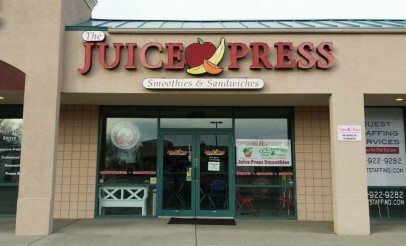 Juice Press is continuing to serve their fabulous menu of 40+ delicious and nutritious smoothies! But now, wraps and sandwiches have been replaced with a new addition to the menu: unique O' CROWLEY IRISH TACOS. A delicious family recipe, that puts a twist on the classic taco, and has been a big hit at the BYU basketball and football games. Soft fried corn tortillas are stuffed with their secret Irish taco filling (a simmered for hours combination of meat, onions, seasonings, sauces, and POTATOES) and served with cheese, lettuce, tomatoes, onions, cilantro, avocado, and a squeeze of lime. Don't forget to try the wonderful Pot O' Gold Fruit Salad! 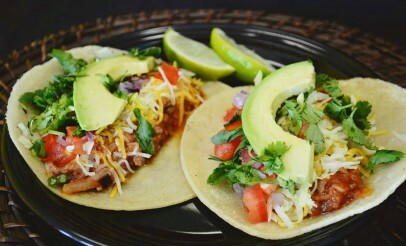 Juice Press is excited to welcome O' Crowley Irish Tacos to their Lindon location! Now, customers can enjoy delicious smoothies from Juice Press and savory tacos from O'Crowley Irish Tacos under the same roof. O' Crowley Irish Tacos is also known for their Pot O' Gold fruit salad. It's the perfect way to get all the food groups in one delicious handful!